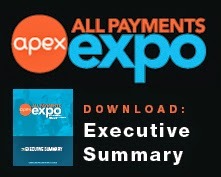 In our evening session today titled, "What's driving the Payments Market? 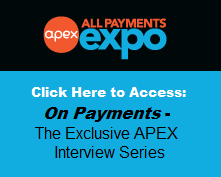 Future through the eyes of the investors" there was a venture capitalist panel discussing what truly is pushing the payments market forward. The panel of venture capitalists was made up of: - Arjan Schutte, Managing Partner, Core Innovation Capital - Ramneek Gupta, Managing Director, Venture Leader, Citi Ventures - Scott Feldman, Director, Susquehanna Growth Equity - Michal Petrzela, Principal, Lightyear Capital For those of you who missed it, here is a quick recap: - Mobile payments phenomena: due to smartphone and tablet usage - 1.5 billion people have desktop internet access as well as mobile access (mobile is continues to grow rapidly) - Top 15 payment oriented companies collectively generate 50 billion in revenues - Based on slowing growth rate, dropping margins and more competition it is no surprise we've already witnessed five powerful acquisitions in 2013 - Advice for entrepreneurs: develop and cultivate relationships with everyone, leverage your network, and think about who will find your business valuable one day.